It has been an amazing week. My life in general, to my POV is amazing but this week has been extra special. You see, Madonna, only the Queen of Reinvention, was in Manila. I've rambled about my fandom in this entry, and x months after, she's actually here! She still has the same aesthetic for backup dancers: exotic, long haired men, almost always Latin or black and Asian women. Or black women. Madonna's long time vocals Niki Haris and Donna de Lory has been replaced by Nicki Richards and Kiley Dean who are also backup for Britney Spears. Her Rebel Heart La Isla Bonita is a reprise of the 2005 La Isla Bonita from Confessions on a Dance Floor. The average age of a Rebel Heart Manila attendee is 41.5. 41.5!!!! Can you believe it was such an old crowd? I do. Nobody in my area was dancing except for me and my gay friend and we were surrounded by women who, respectfully, seemed like grandmas. Not a surprise, Madonna might as well be a grandma anyway at age 56. Madonna's provocative nature still shines throughout her concert, and her musical prowess is still the same. Her production genius is as fantastic as ever, and still so visually stimulating. It felt like watching David Fincher all over again, who directed her Vogue music video. The acrobatics! The explosion of art! There were a lot of items that would shock the church -- but in the Philippines, quite honestly, what doesn't? Rebel Heart is actually a great album. I especially love Illuminati and Rebel Heart. Titos and Titas of Manila shouting "F*** yeah!" all night? Priceless. Yes. The concert was worth the price tag. My friend C is getting married in less than a month in a city far far away, my second destination wedding! Her Bridal Shower #1 has been a fun thing to plan, a side project from all the crazy telco life and as I've squealed to my man friend while shopping, I had wanted an excuse to shop at this store called Celebrations in Mega Fashion Hall. I just wanted to buy the pompoms and the block letters and I finally did it! 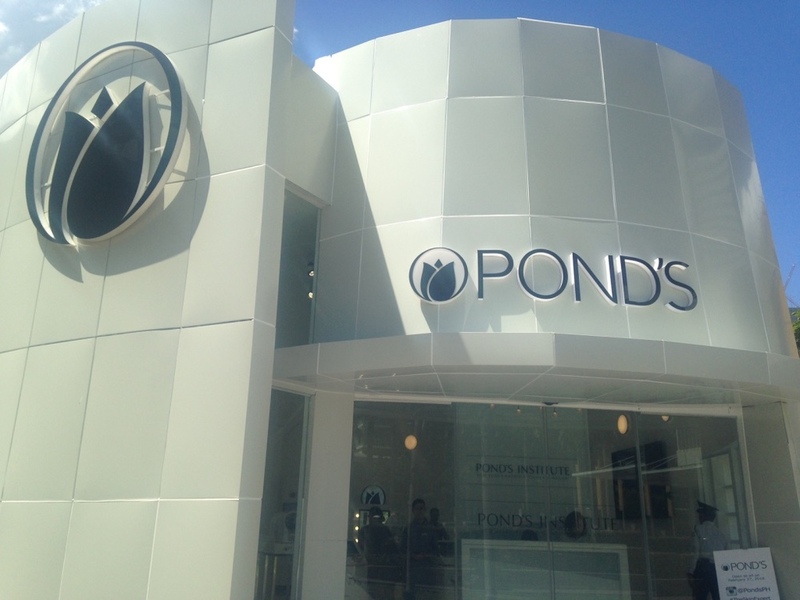 In beauty news, Pond's Institut just opened a pop up branch across Serendra beside Fully Booked! Hooray for being able to check our skin every now and then. As for me, it's currently dry and I have enlarged pores, which reminds me to moisturize better and pay my derma a visit for a facial. That's all for me, my darling readers. I hope you all had a fab week!